Spring is definitely in the air. At least all the birds are feeling it. The mornings are filled with bird song. The other day on my walk to the end of the street to snap the crocus, several hawks were wheeling around in the sky shrilly calling out to each other. 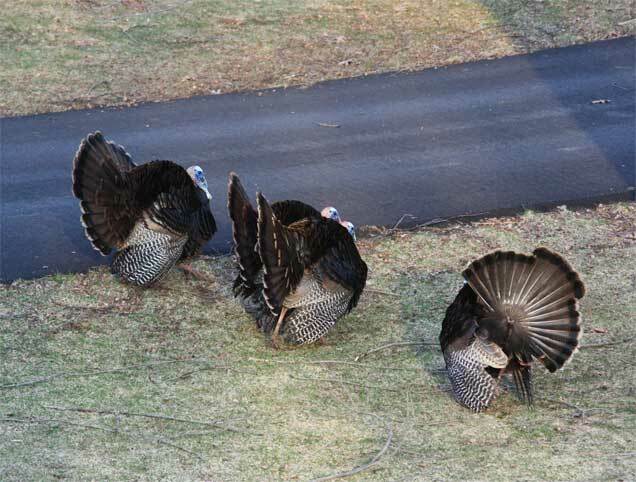 They were making quite a racket. 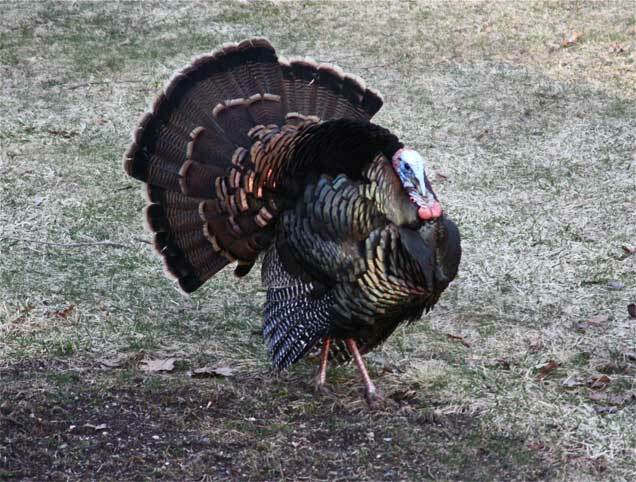 Each morning before the sun is up I hear turkeys, either clucking like a bunch of overgrown chickens, or sometimes a full-fledged gobble. This morning was a little different. Again, I heard them before the sun came up. After feeding the dogs and going through my normal morning routine I looked out the study window and saw a few hens coming over to where I normally feed them. I went to get some food and noticed that there were hens everywhere! 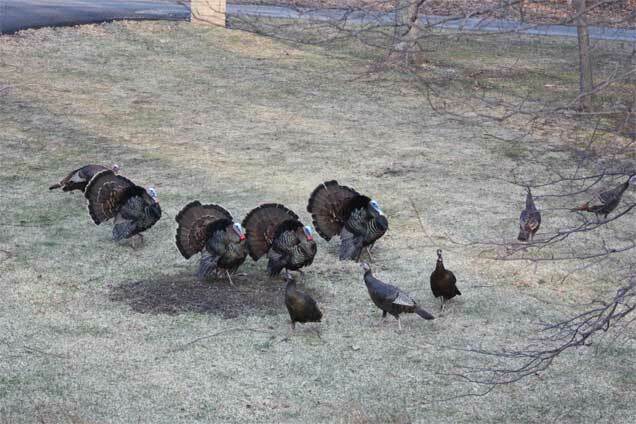 They scattered when I came out the door but it didn’t take them long to all come running across the yard flapping their wings. I counted sixteen hens. 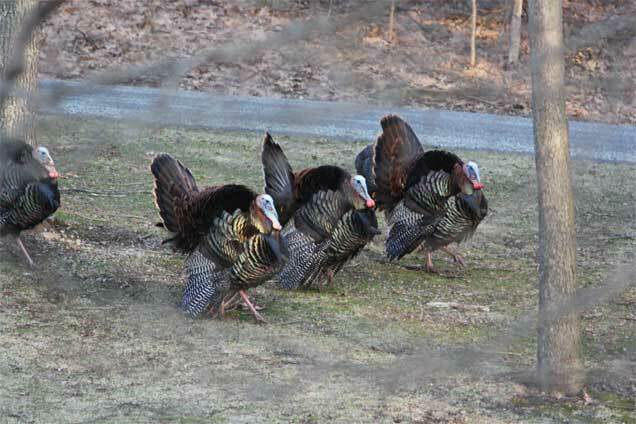 Once back in the house I looked out again and to my delight and amazement four huge toms were coming—and they were strutting their stuff with tails fanned out and wings down. I quickly ran upstairs to the the one window without a screen so I could get better photos. What a show they were putting on for the girls! So important and all puffed up! It soon became apparent that this was no ordinary visit. This was all about mating. 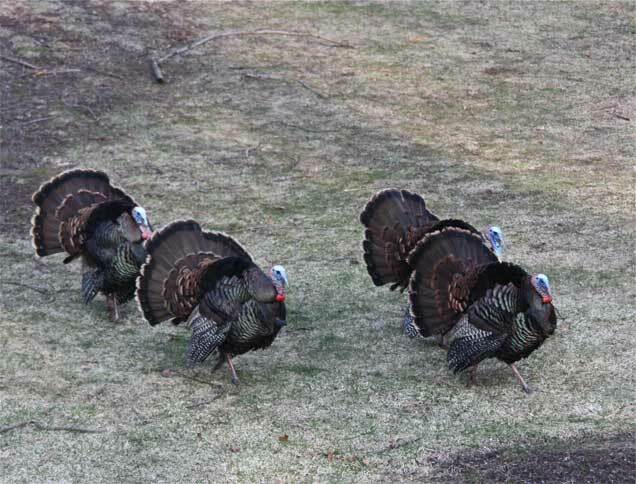 The toms strutted and danced around a few of the hens, courting them. It was all very intricate and there didn’t seem to be any fighting or jealousy between the toms, which is something I’ve noticed before. Almost like they work together to help each other to get a date. 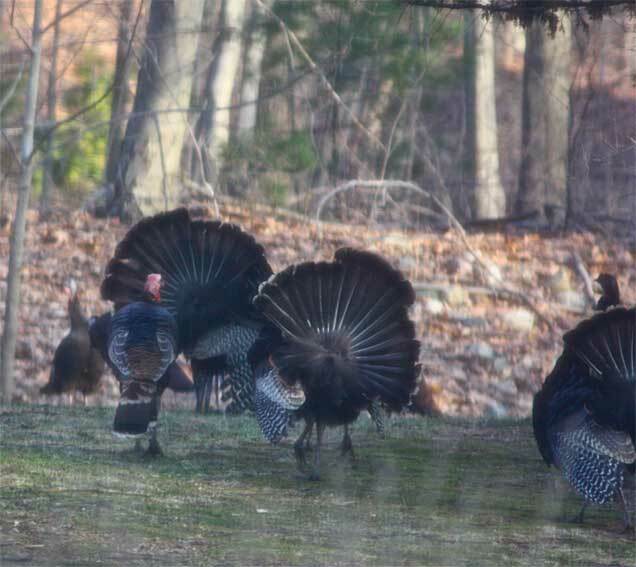 In fact, here is an interesting article about how male turkeys help each other out in mating season. I’ll spare you the details of the actual mating, but it was pretty interesting. Let’s just say it didn’t look like she was having much fun. 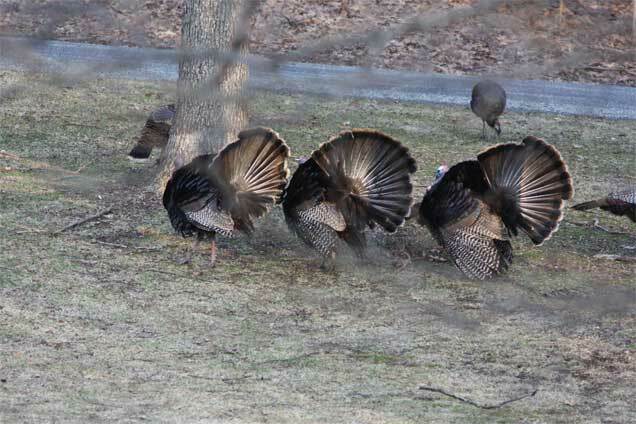 How many people have seen wild turkeys mate right in their front yard?! 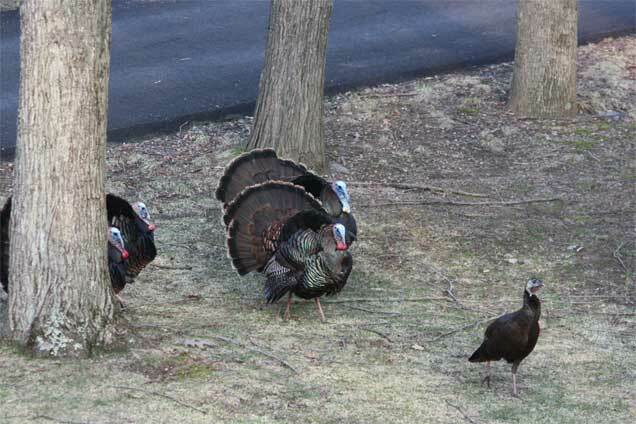 I guess we’ll be seeing little turkeylettes before too awfully long. Previous entry: Weather advisory out for New Jersey!